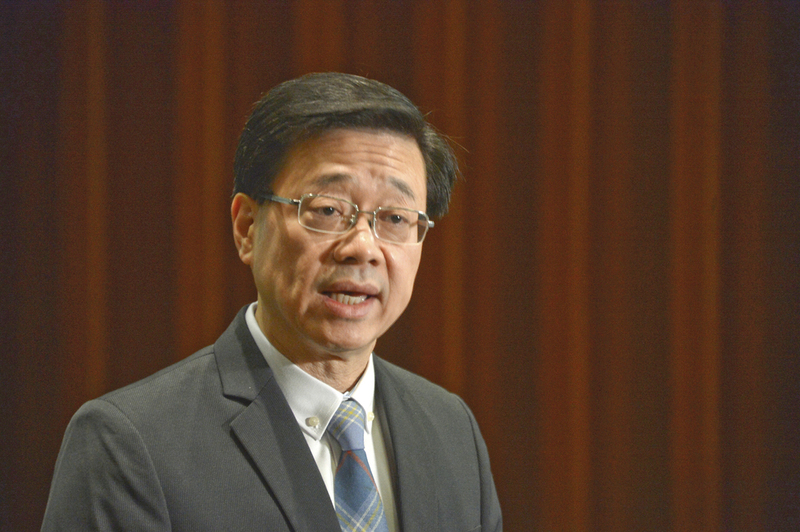 The fugitive law amendment must proceed even if the suspect in a Taiwan murder case gets released, says Secretary for Security John Lee Ka-chiu. Chan Tong-kai, 20, allegedly killed his girlfriend in Taipei in February last year, and will be sentenced on four counts of money laundering at the High Court on April 29. If Chan is sentenced to a mere one to two years, lawmaker Holden Chow Ho-ding fears he could be freed shortly as the suspect has been in custody since his arrest in March last year. Chan could also leave Hong Kong to avoid being extradited if his jail term ends prior to the proposed amendment being passed. After a public event yesterday, Lee was asked whether the amendment would enable Chan to be extradited to Taipei. Lee said he believes the case has shown the urgent need to amend the law. "No matter how the judgment will go, we need laws to handle the Taiwan murder case regarding the legal punishment the suspect should face," he said. Even if Chan finishes his prison sentence before the legislation, the government still needs to face the fact Hong Kong lacks laws involving the extradition of fugitives, Lee said. He reiterated Hong Kong has no laws to address Taiwan's request for mutual legal assistance, and so the government can only handle the case after the legislation process. Lee said the government is hoping to conduct preparatory works by discussing ways to handle the case through the Hong Kong-Taiwan Economic and Cultural Cooperation and Promotion Council and the Taiwan-Hong Kong Economic and Cultural Cooperation Council. He was also asked about the business sector's demand to extradite only those who have committed crimes that would lead to at least seven years in jail, instead of the proposed three years. Lee said the demand will be discussed in the bills committee's meeting in the Legislative Council. Meanwhile, the High Court is scheduled to hear tycoon Joseph Lau Luen-hung's judicial review over the proposed amendment bill on June 21. A directions hearing for the case will take place tomorrow, the same day the Legco bills committee holds its first meeting. Separately, the Civil Human Rights Front has called on groups that have voiced concerns over the proposed amendment bill to join its protest in front of Legco at 8am tomorrow.